All these privileges for the Jews come on the expense and nullification of the rights of the indigenous Palestinians. This law violates international laws, UN resolutions, peace process and political agreements, and most importantly human morality. It totally negates the existence of Palestinians;the rightful owners of the land. It cancels the right of Palestinian refugees to return to their own homes and towns as guaranteed by international laws. It negates their history, their language, their culture, their religion and their humanity. 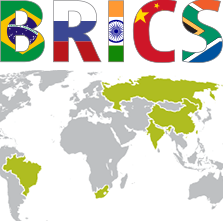 hree out of the five BRICS member states are full members of the Shanghai Cooperation Organization (SCO) including China, Russia and India. Argentina is currently among the countries considered likely destinations for new American military installations in the foreseeable future, despite the fact that such arrangements have been rejected by both the population and former leadership of the country in recent years. In fact, all military exercises between Argentina and the U.S. were suspended from 2007 to 2015, as the successive governments of Nestor and Cristina Fernández de Kirchner sought to reorient Argentine foreign policy away from the U.S. in an attempt to combat imperialism and strengthen regional integration.